Remember the end of Ghostbusters when they fried the skyscraper sized Stay Puft Marshmallow man with their proton packs like a smore being incinerated by a flame thrower in the middle of the gasoline fight from Zoolander? That’s what I want to do to stress. Have you ever felt like that, obscure movie references aside? If you remember this post you know I used to be the mayor of overbooked. I pushed myself passed the point of burnout and exhaustion. That season of my life it cost me my health, my friends, and precious years I’ll never get back. 1. Identify what’s most important. Making a list of what’s important, the people and things you really love, is the first step. Most people don’t do this. And most people who think about doing this justify not doing this with the last sentence. But you’ve got to ask yourself: do I really want to be like everyone else? Do I really want to have no margin in my life like everyone else? Do I really want to respond to every noise my phone makes like I’m one of Pavlov’s dogs? Or like it’s a shock collar that will send a 1,000 volts through my torso if I don’t answer every message in the first microsecond of receiving it? I don’t. And I don’t think you do either. But until we know what really matters, what is truly worth captivating our soul, we’ll always respond to the immediate like it’s the urgent because we won’t know the difference. Identifying what’s most important will allow you to craft a plan for your life which will help you live what your soul is longing for. When you’re ready, here’s a free tool that will guide you in bringing your life back to life. Knowing what’s most important is great, if you do something about it. If you don’t it just sits in the back seat of your heart. And it will haunt. That’s the stuff divorce court and ulcers are made of. Don’t do that. Make time to plan how you’ll live out your priorities. Where you spend your time shows what’s really important to you. So plan to spend your time where you say you value it the most. Here’s five steps to help you do it. Easier said then done, right? But it’s the only way to keep your mind from flooding, your heart from feeling like it’s going to explode. When you know and own what’s really important you’ll always be able to get here. Remember what Bill Murray taught us about this. Right now you may feel like your under a tsunami of stress. I’ve been there. We all have. The good news is there is a way out. Identify what’s most important, schedule it, and ignore the rest. Those are the life preservers you need to get back to shore. 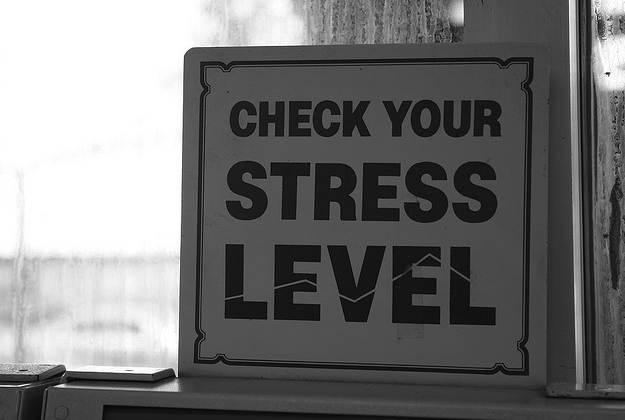 What are you going to do to annihilate stress this week?